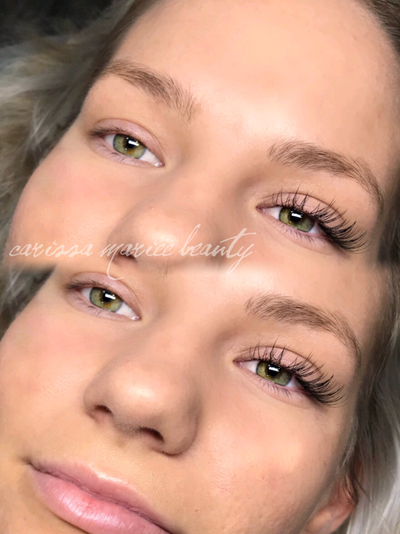 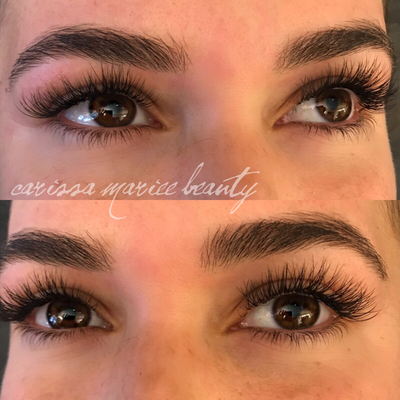 Eyelash Extensions - Carissa Mariee. 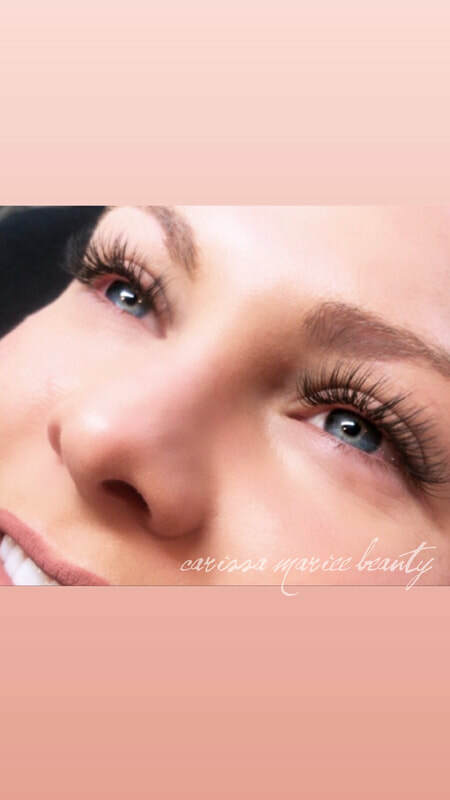 EYELASH EXTENSIONS - enhance the length, curliness, fullness, and thickness of your lash line. 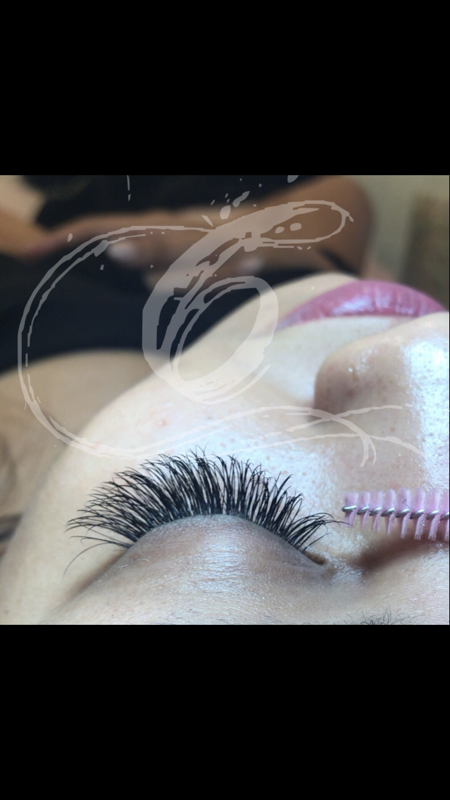 They can be customized to each client’s individual needs or desired look. 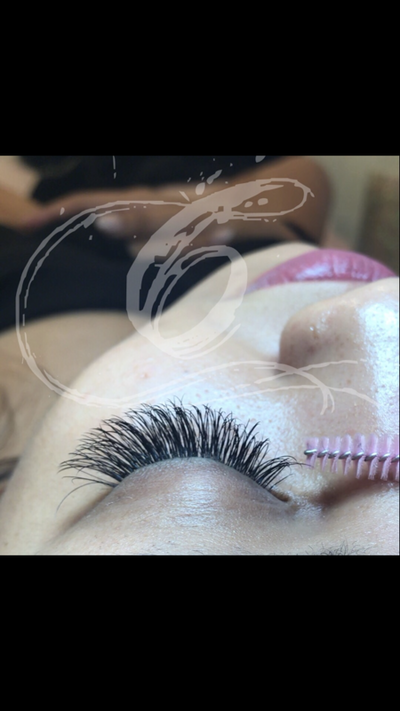 They are semi-permanent and are ideal for vacations, special events, new moms, and hassle free every day wear. 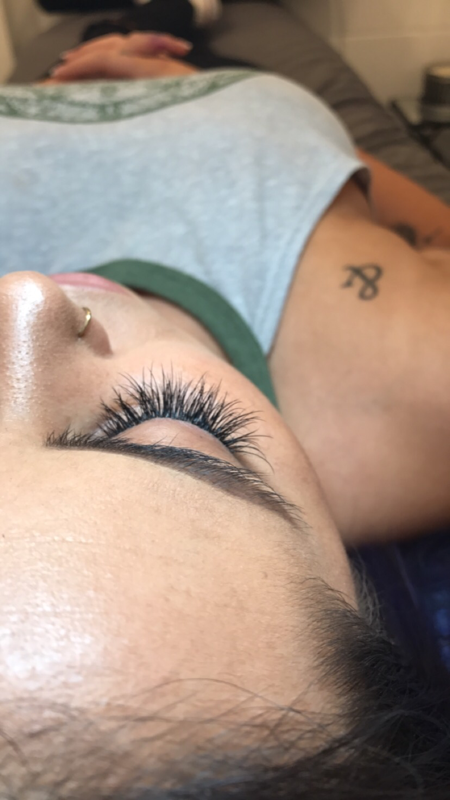 Eyelash extensions come in a variety of lengths, thicknesses, colors, and curls. 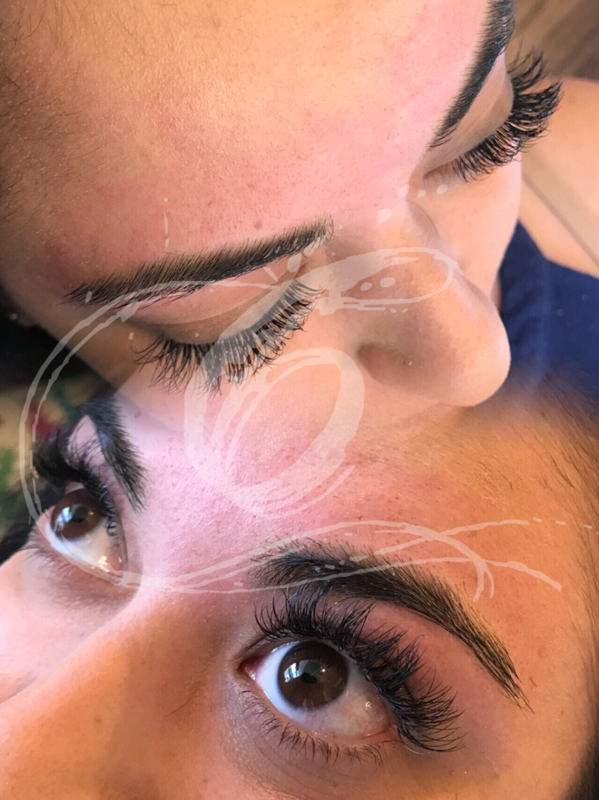 In combination with the condition of your lash, and the look you desire, the kind of extensions will be decided on ad discussed accordingly between you and your artist. 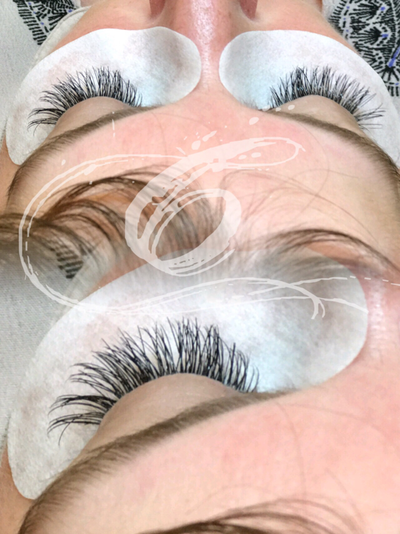 You can choose from the following materials: Mink, Sable, Synthetic Mink, & Silk. With proper application, you should not be able to feel the lash extension or be bothered by them, and they should have little to no effect on the health of your natural lashes. 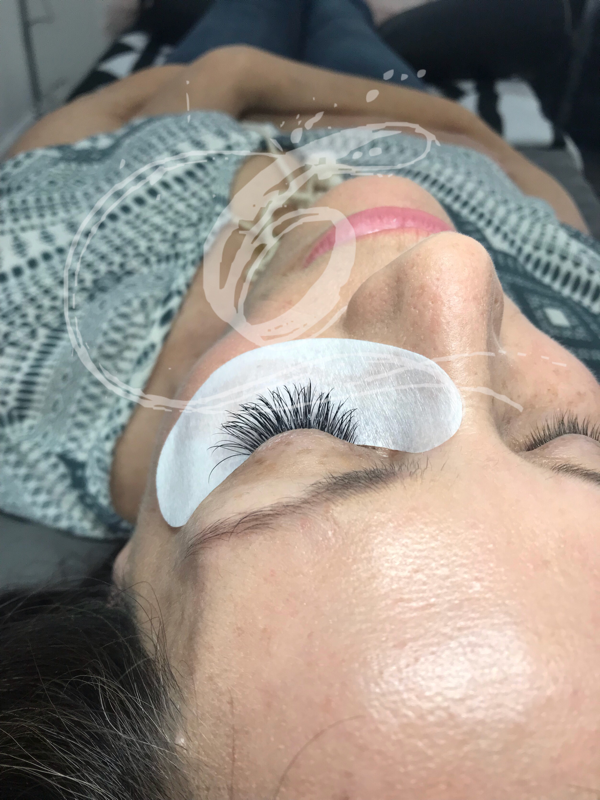 Close attention will be paid to the state of your lashes to make sure they remain strong and healthy through the duration of your time as a client so that you may continue to fill your lashes for as long as you wish to do so. Eyelash extensions should only be applied by licensed estheticians or cosmetologists with proper eyelash extension training. Eyelashes, just like the hair on our head as well as the rest of our bodies, grow and shed and go through the usual phases of the hair growth cycle. 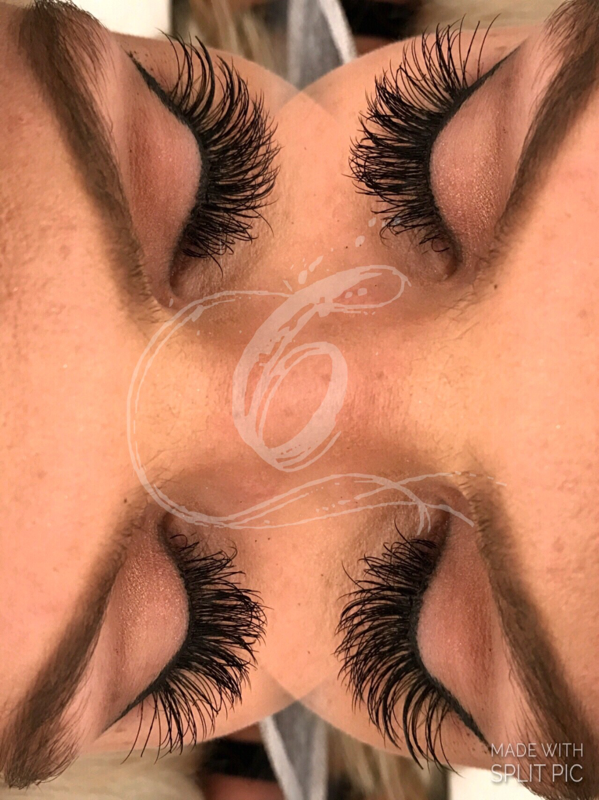 This means that we there will be times that our lashes are stronger, longer, shorter, weaker, older and newer than others. 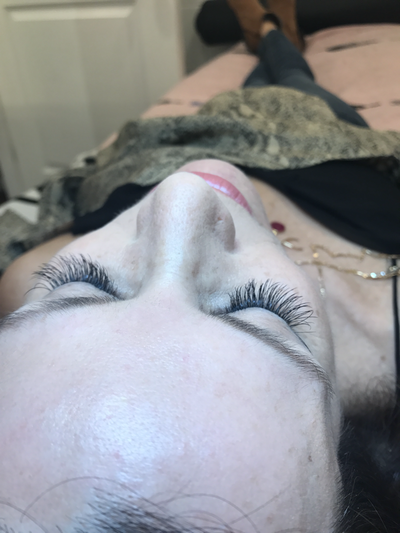 The time spent getting your lashes extended should be comfortable and relaxing – often referred to as a “lash nap,” for obvious reasons. 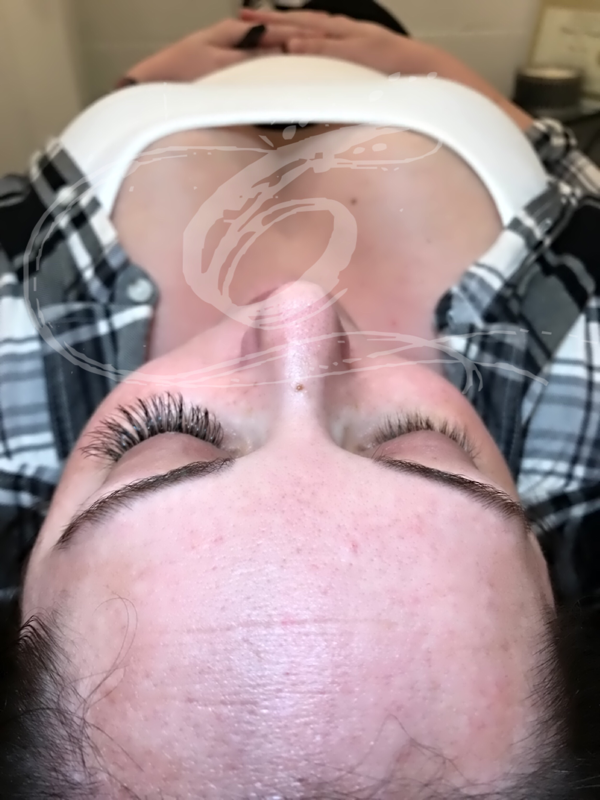 A full set of lash extensions should take about 45 minutes to an hour. 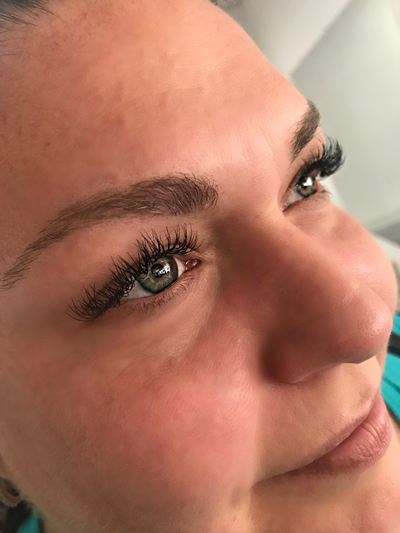 A classic set of lash extensions is when one extension is placed onto one individual lash of your own very meticulously using needle nose tweezers and a really strong medical adhesive. 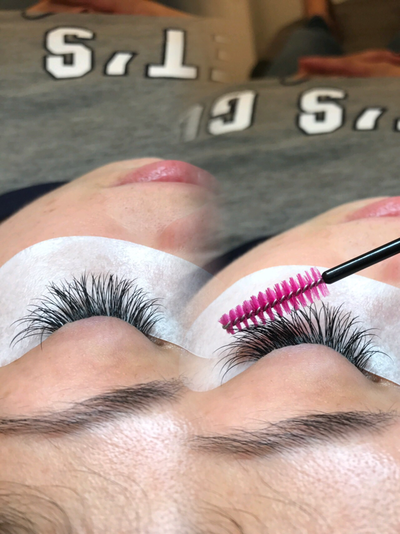 Adhesives that we use are of the highest quality, with the strongest bond and lowest fumes. 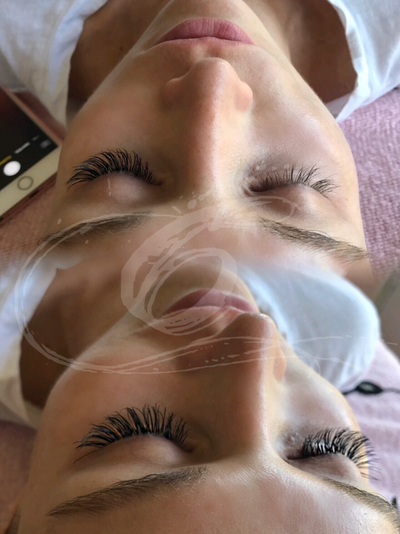 Without counting lashes, we lash as many or as few lashes as desired but most oftentimes covering over 90% of the natural lash line with extensions. We can only put a lash where there is a lash, so if there are patches of missing hair or areas where growth has stopped, other options for filling these areas may want to be considered, as even with extensions covering the rest of the lashes, these gaps may still be noticeable. 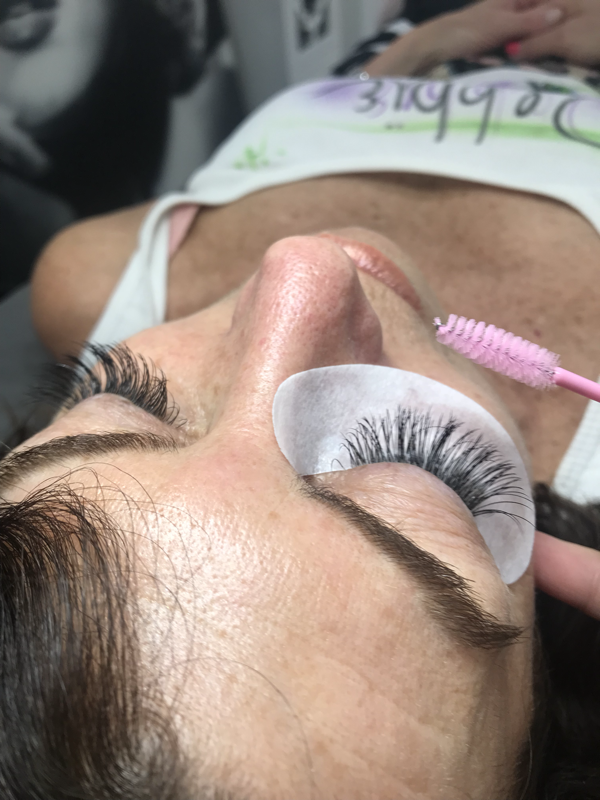 Fills are recommended at 3-4 weeks but may be needed or desired sooner than 3 weeks or later than 4 depending on how well your lashes take to the extension, how oily your skin is, and your lifestyle. 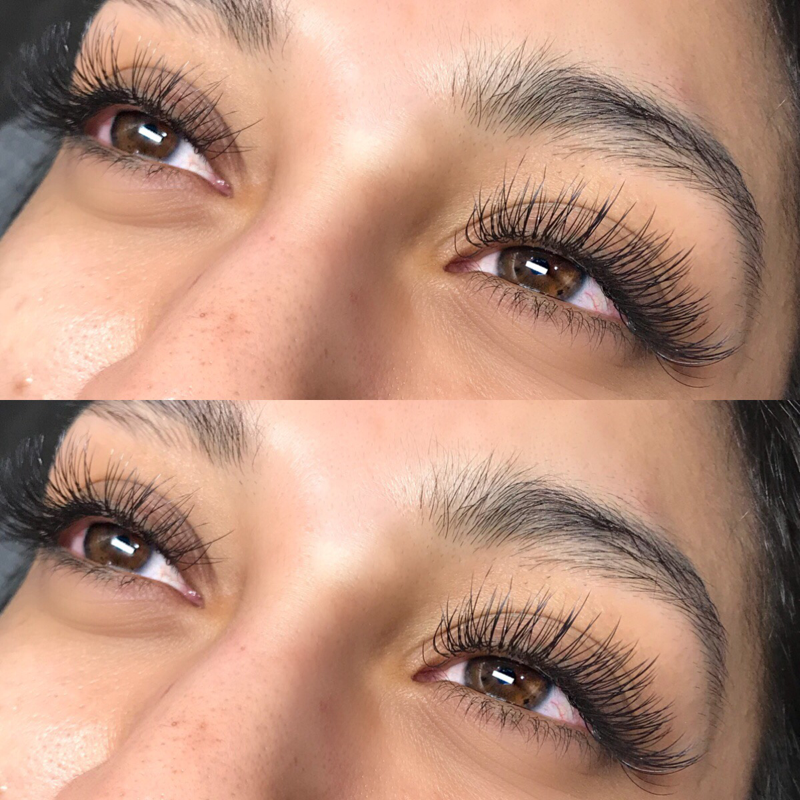 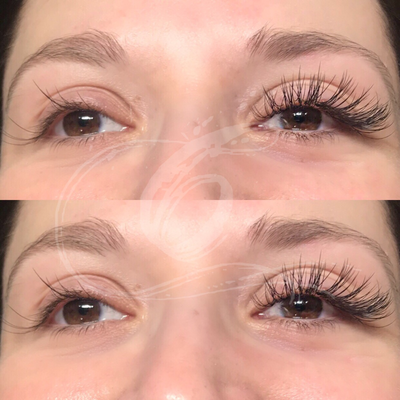 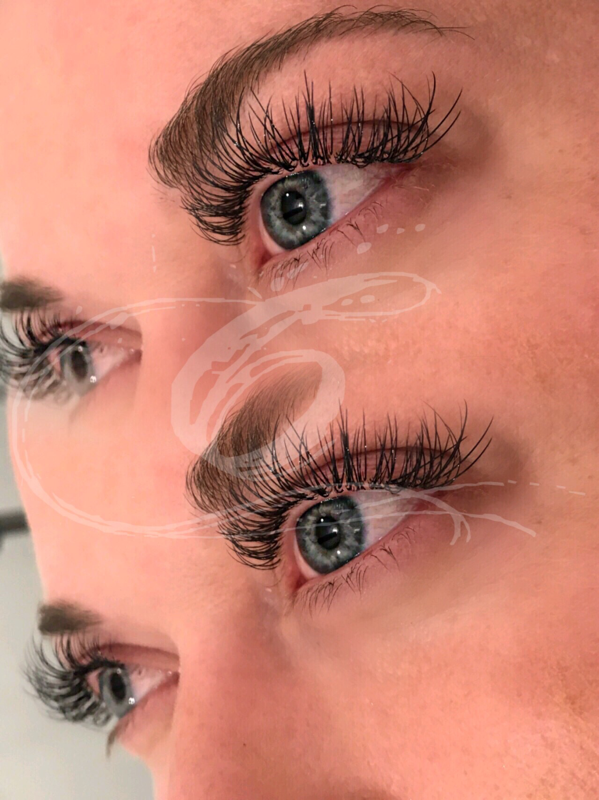 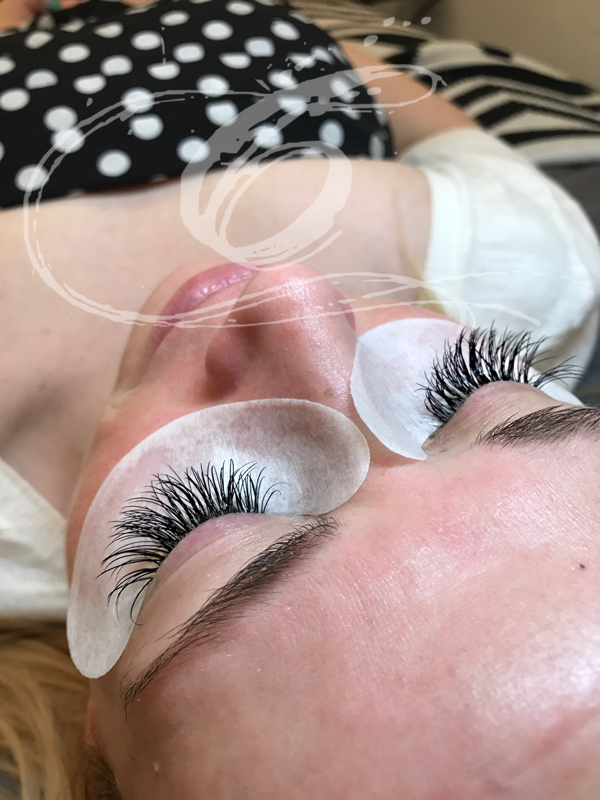 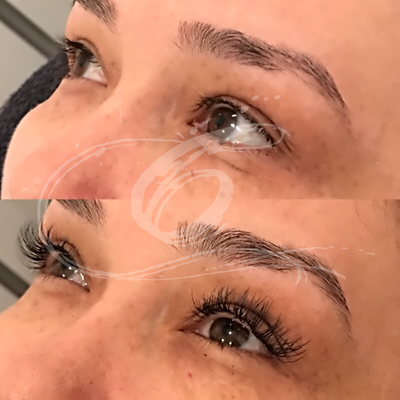 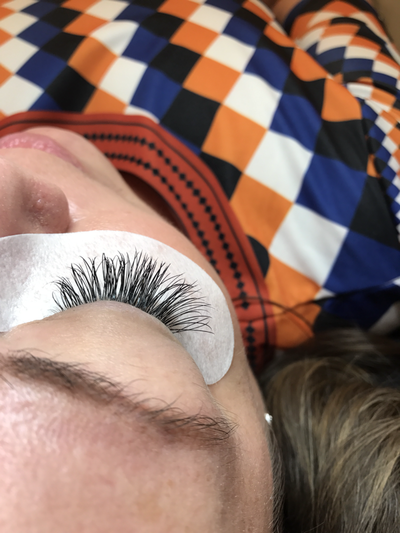 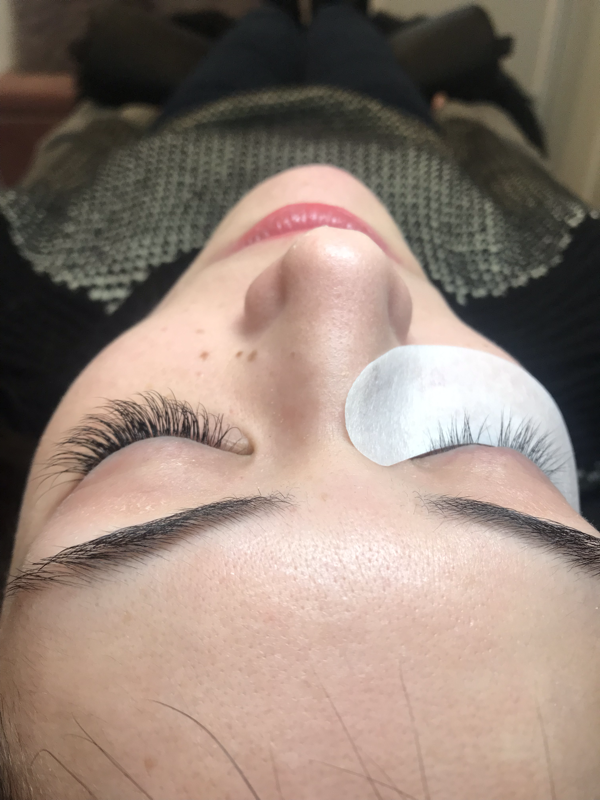 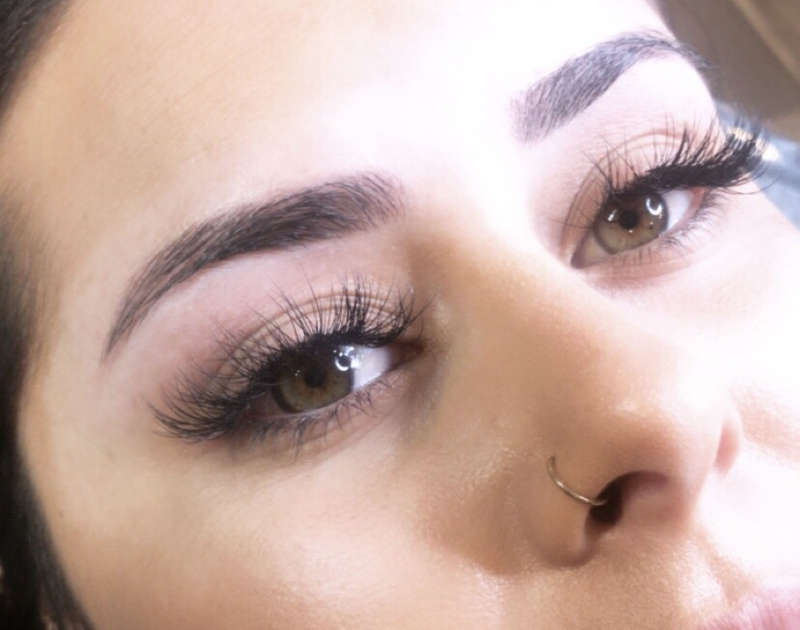 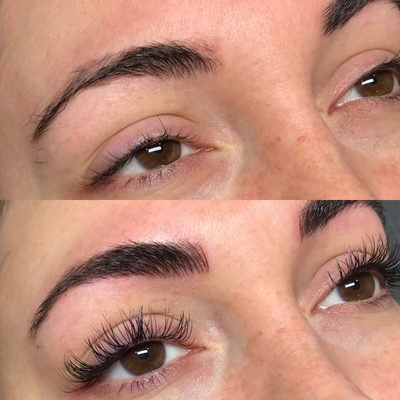 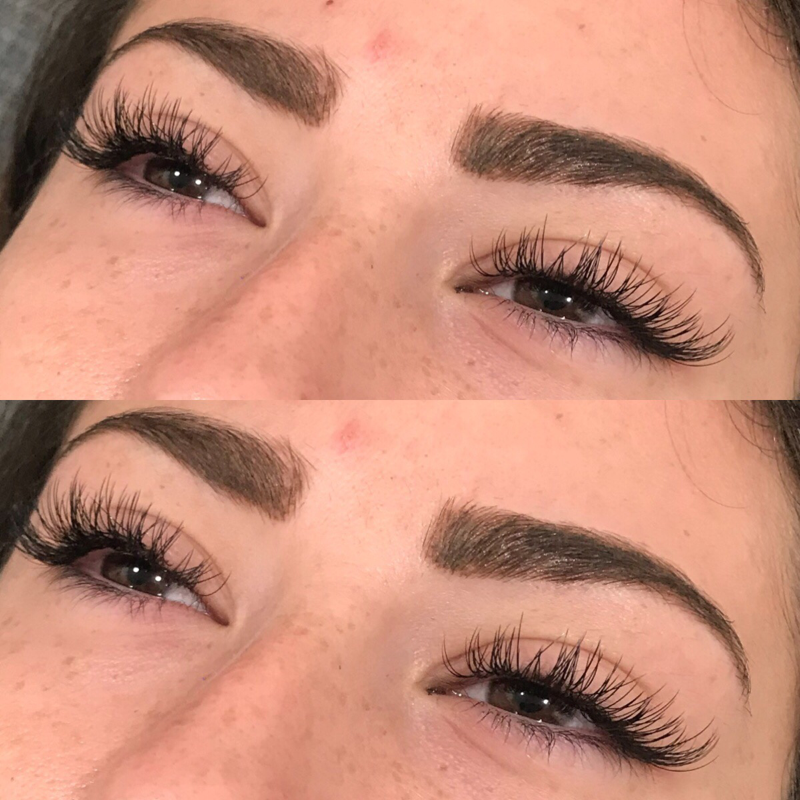 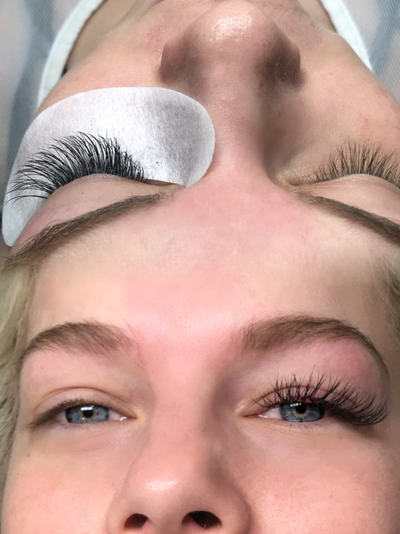 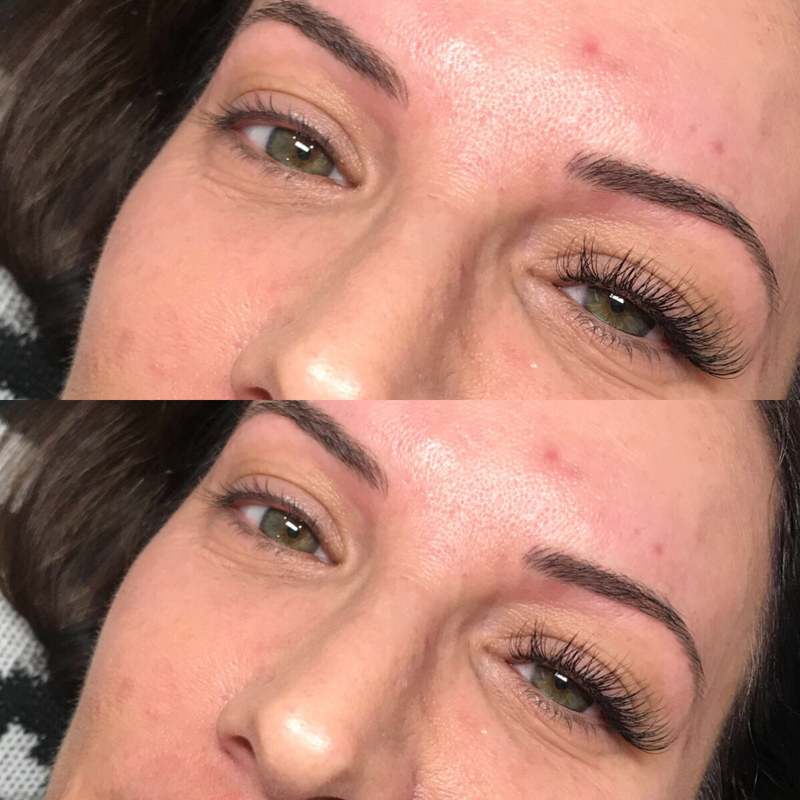 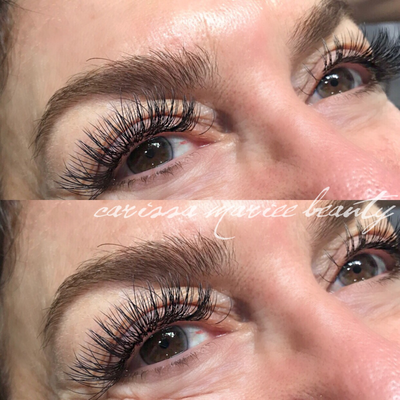 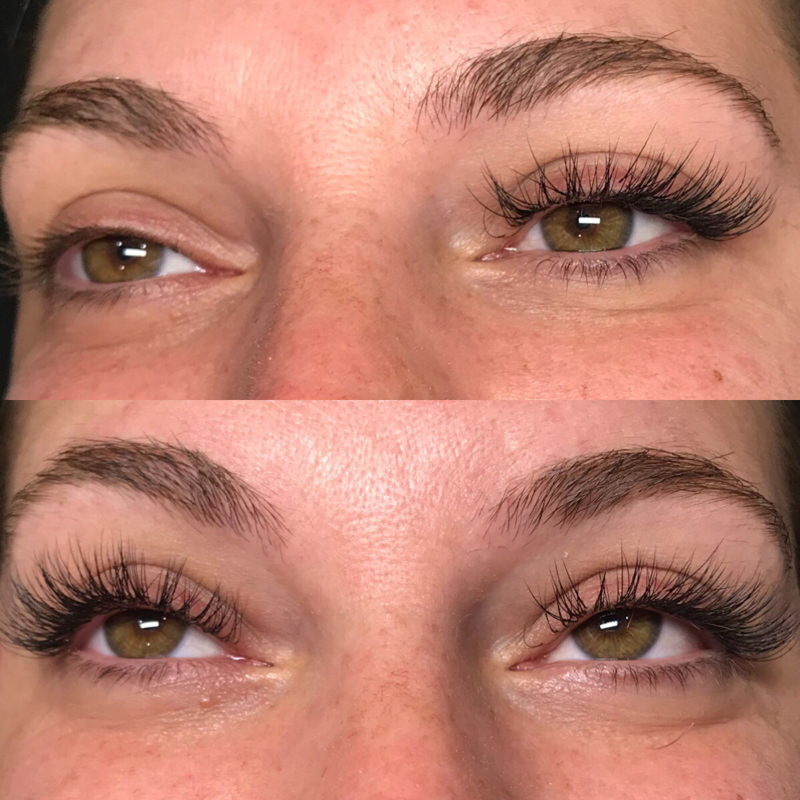 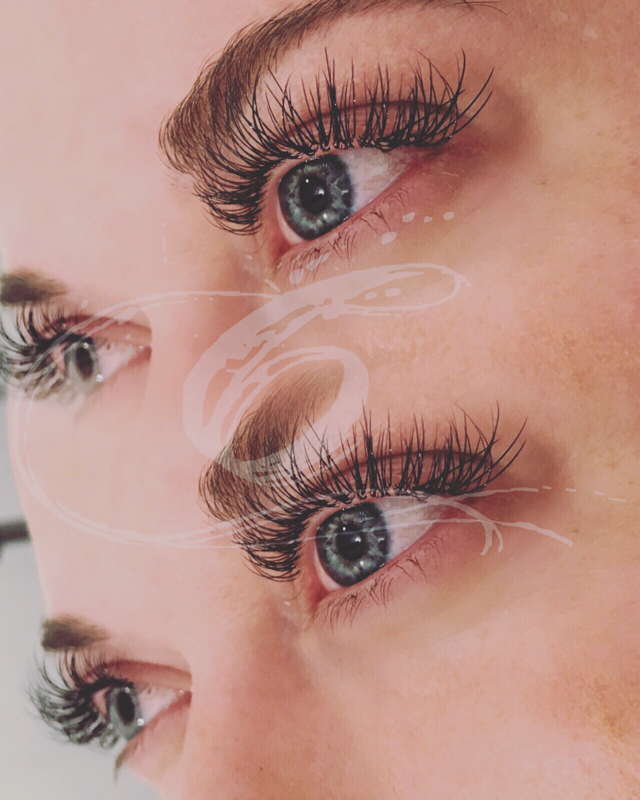 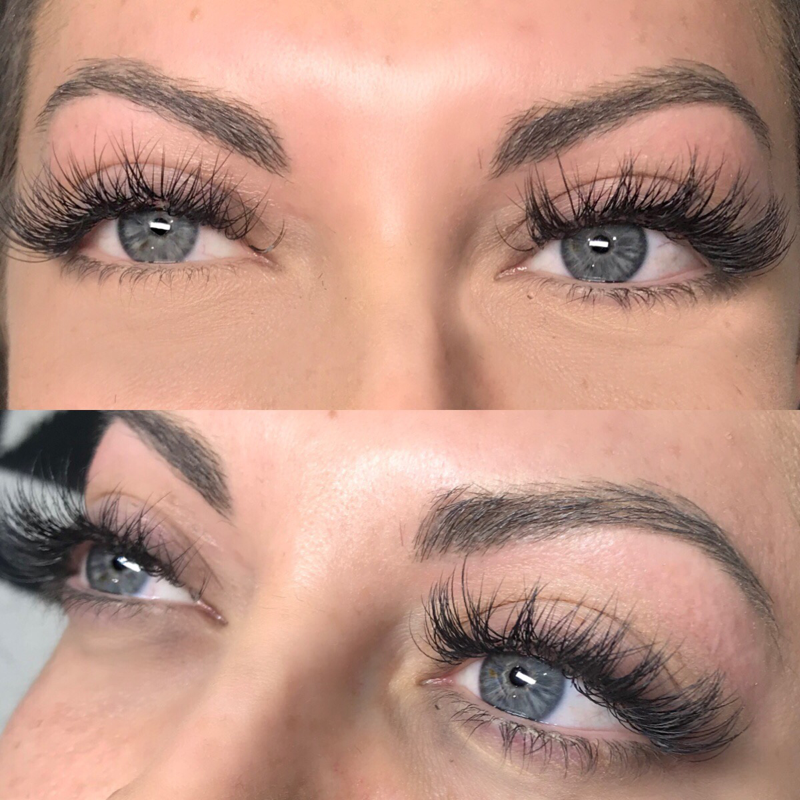 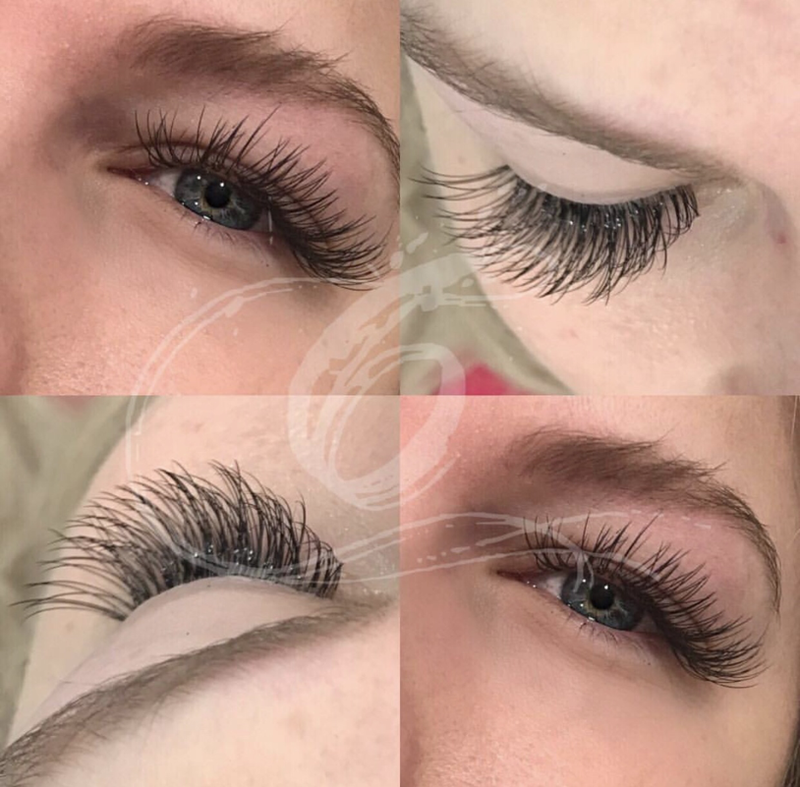 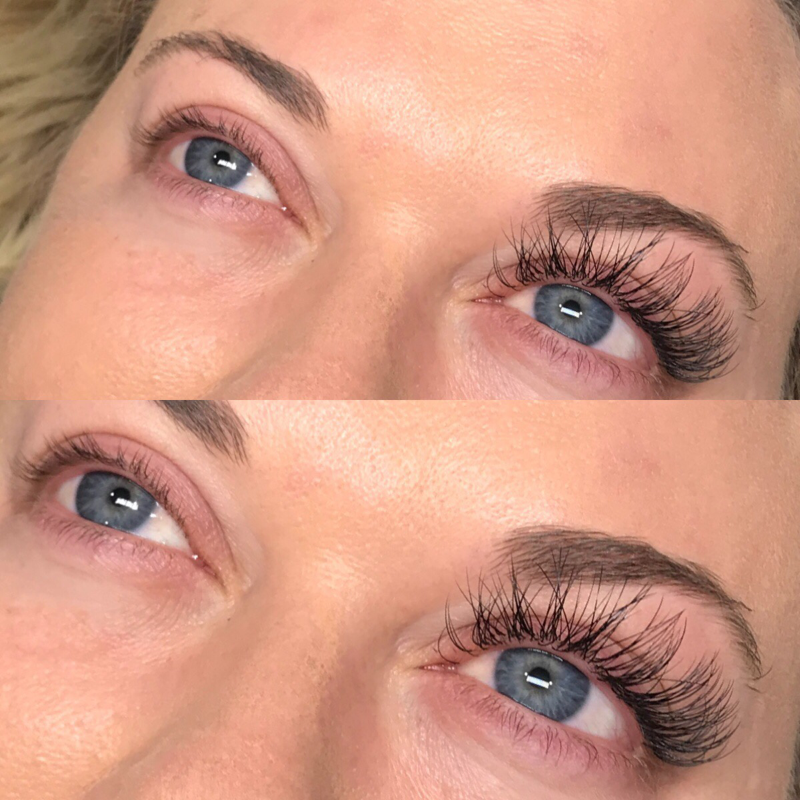 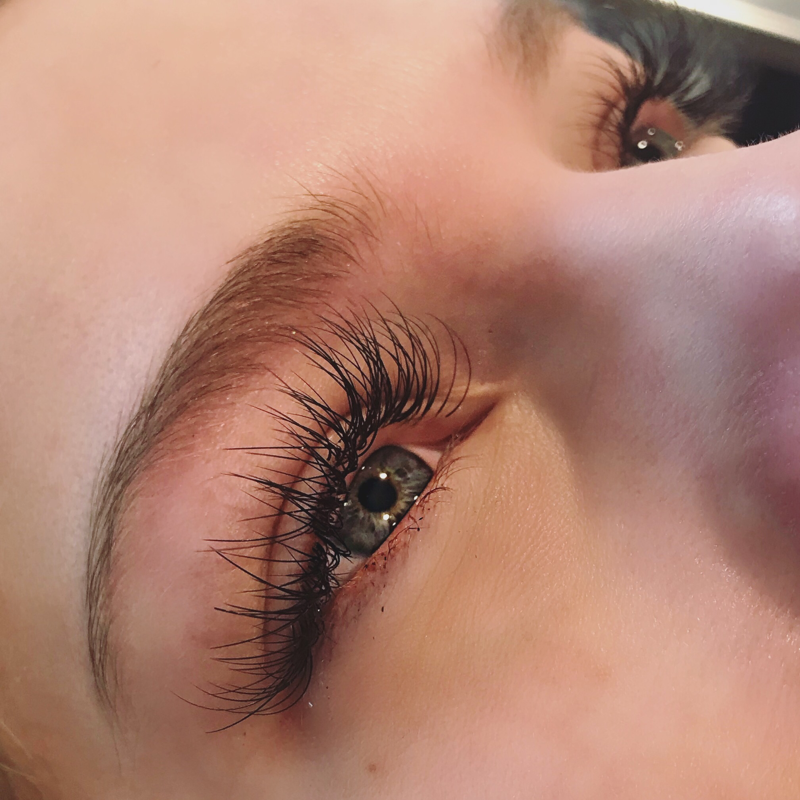 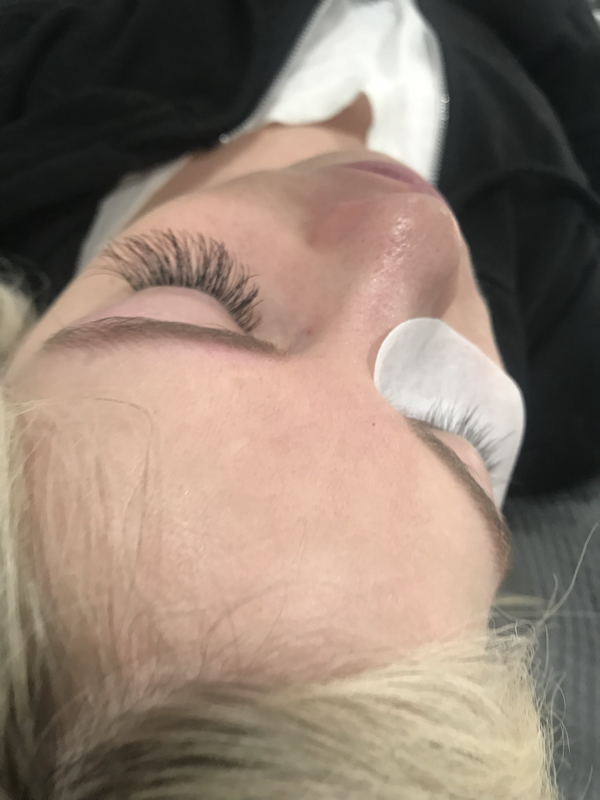 The fills take approximately 45 minutes and during this time we replace any extensions that have fallen out and carefully remove any extensions that are still bonded to the lash but have grown out, and replace it with a new extension back at the base. 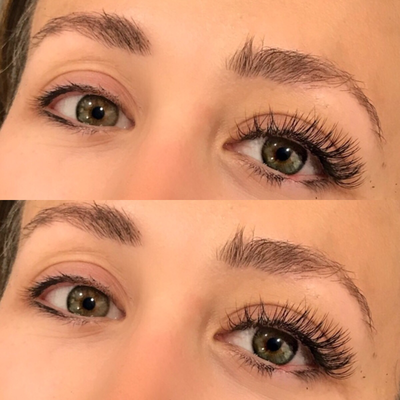 Minimal care is required to maintain your lash extensions. To get the best retention, you want to make sure your lash line stays free of oil or debris – so depending on your lifestyle or subjection to different environmental factors, you may want to wash them daily. 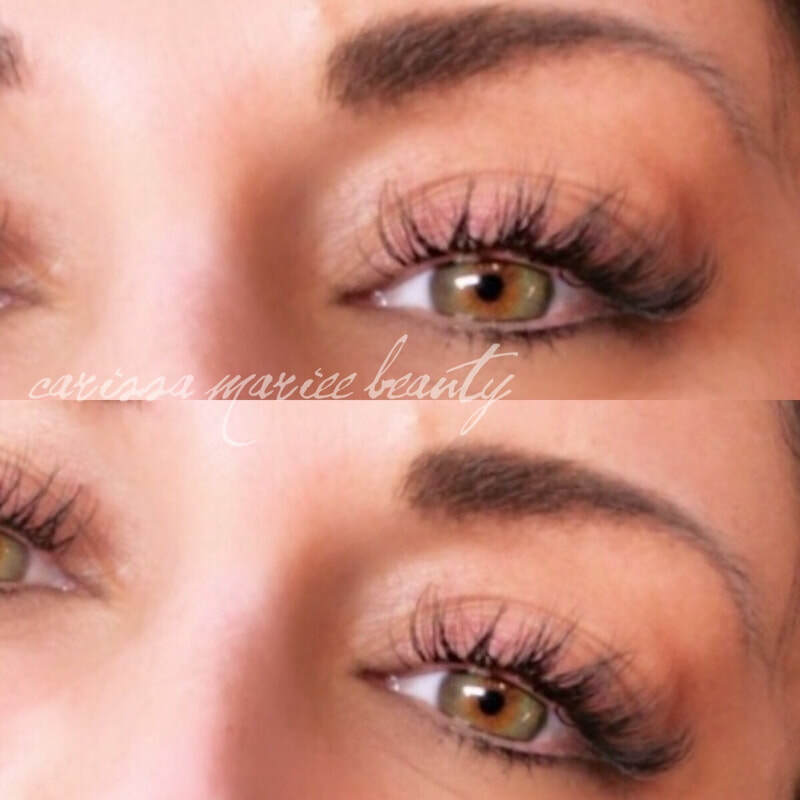 Avoid using oil based makeup on the eye area, as well as lash curlers and mascara. Avoid oil based products/makeup removers at all costs as oil will break down the adhesive. Prolonged exposure to water such as swimming or sweating, or “steaming” as in hot showers, excessive heated workouts, will also affect retention. 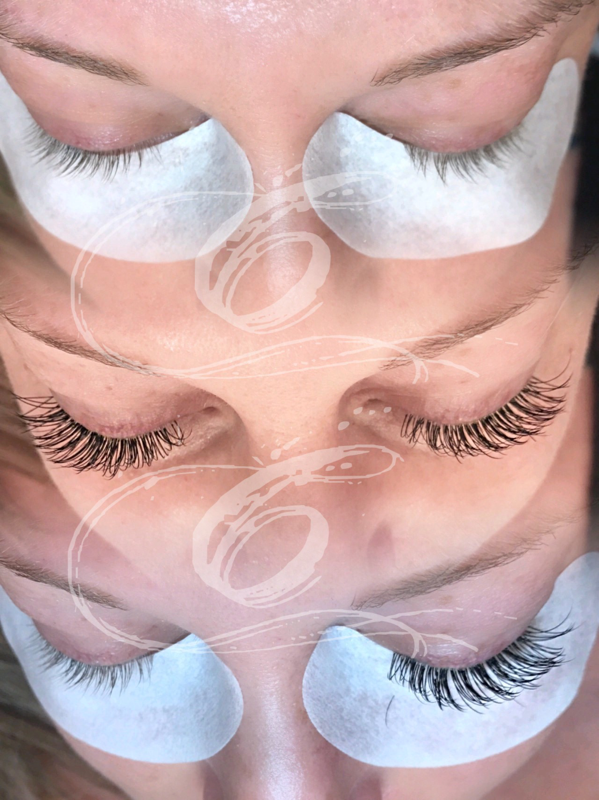 You can however wash your face, shower, and swim freely otherwise without worry. 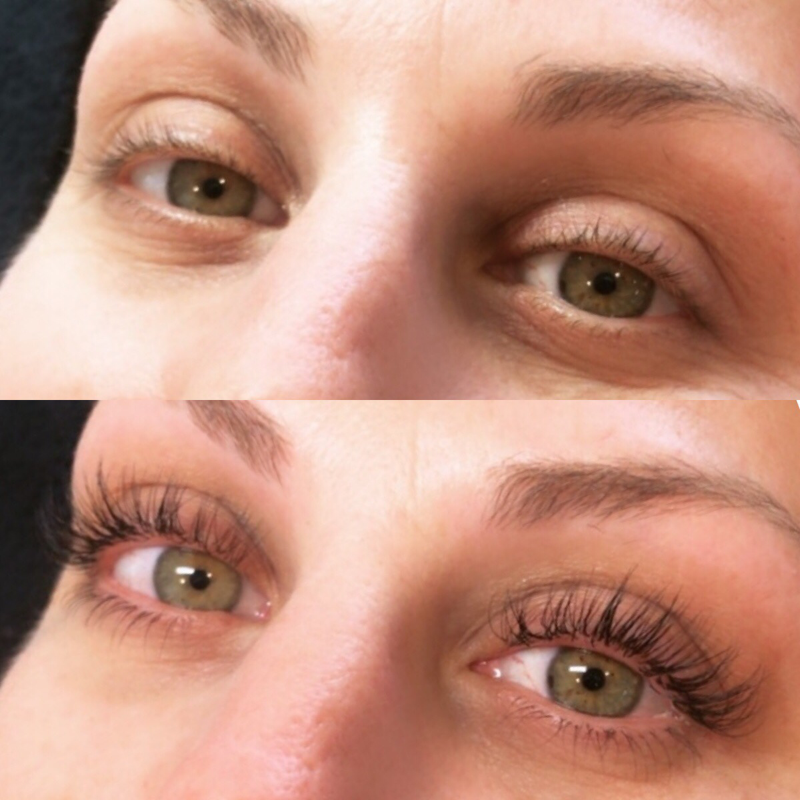 Avoid pulling, picking, or aggravated rubbing as you can pull out your natural lash with the extension. 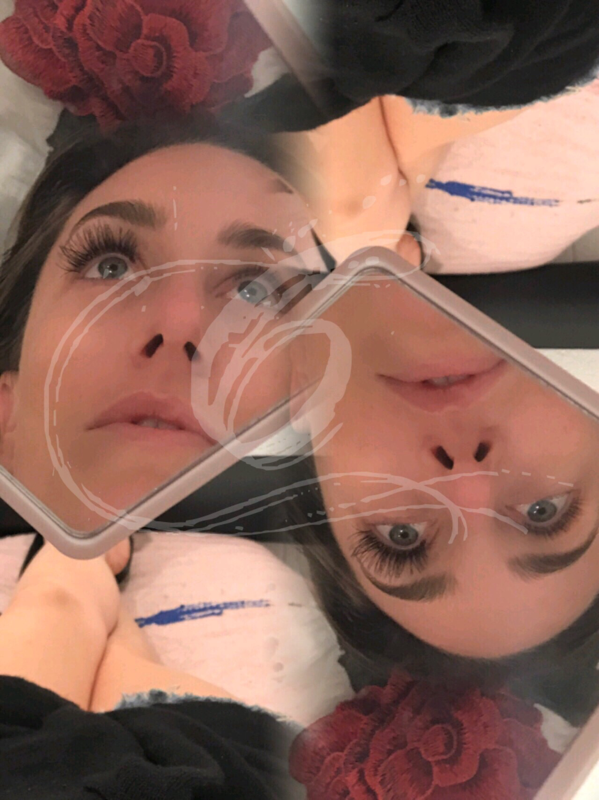 Think really hard before you get lash extensions, because I promise you – they are addicting because they are LIFE CHANGING!